Warning: The regime in Havana has prepared a new legal trap for Ángel. 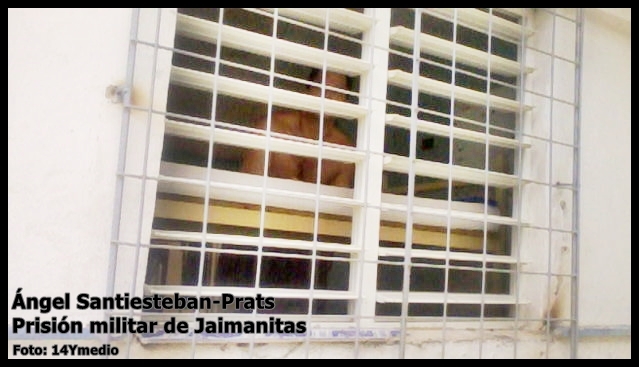 As is already public knowledge, Ángel Santiesteban has been held in a military border patrol base in Jaimanitas since August 13. He was placed there after several days of detention in the Acosta Police Station, following his surrender after having taken 5 of the 15 pass days that he had accumulated since his incarceration in the Lawton prison. The night before taking his days, on 20 July, Ángel used his blog to denounce the great rumors circulating about his imminent transfer to the border patrol base for purposes of isolating him. This was after his son had declared, on Miami’s TV Marti on July 15, that as a child he had been manipulated by his mother and State Security to force him to lie and hurt his father. After turning himself in and having been held for days in police station cells with no nourishment, he was taken to a location such as he denounced in that post. He is kept there in isolation, where his rights to visits and calls are ignored. He has no physical space so vitally needed so that he can keep himself healthy. To demand his right, Ángel declared a hunger strike for a period of days. We learned of this because Lilianne Ruíz, of 14yMedio newspaper, was able to interview him from outside the detention facility. We barely have news of him, because he wants to say very little by telephone, and his jailers do not allow him to send letters or post on his blog. Every time he manages to get one out, it becomes a major feat and it takes very long to reach us. This is such that just this past weekend, I received a letter from October and another from the 15th of November. Of course, he tells me nothing in them about the incidents and motives that caused him to go on the hunger strike in recent days. But he does tell me that although the request for an appeal (made on the 4th of July of 2013) of his case was accepted, nothing has been done to move it forward. This is more grave than it appears. As all of you have read in the press these days, the Cuban government–in a clear move to “look good” for its negotiations with the US before the imminent collapse of the aid that it receives from president Nicolás Maduro of Venezuela–has let go about 20 political prisoners. That is, the government has not freed them–they have let them go into house arrest to await their pending trials. The most well-known case is that of Sonia Garro, who with her husband and another peaceful activist, had been held for 31 months without trial. 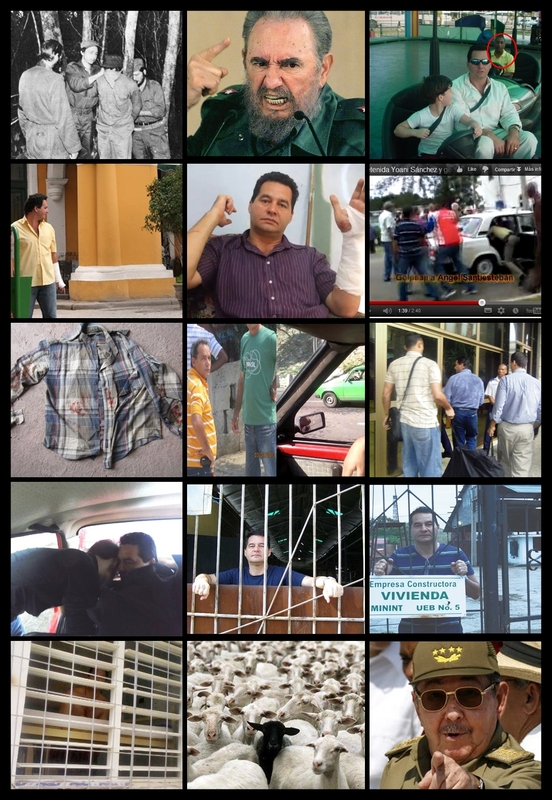 Ángel’s case is equally notorious because not only did his son declare what truly happened–thus dismantling the judicial farce that was invented to lock up and silence Ángel–but in addition, he already served a third of his sentence (in April he will have served half)–and he should have been released pending his new trial. At the least, they should give him a conditional release in April. However this is something they will not do–given the recent releases from which they excluded Ángel, they made abundantly clear their eagerness to keep him locked up as punishment for his oppositional stance. 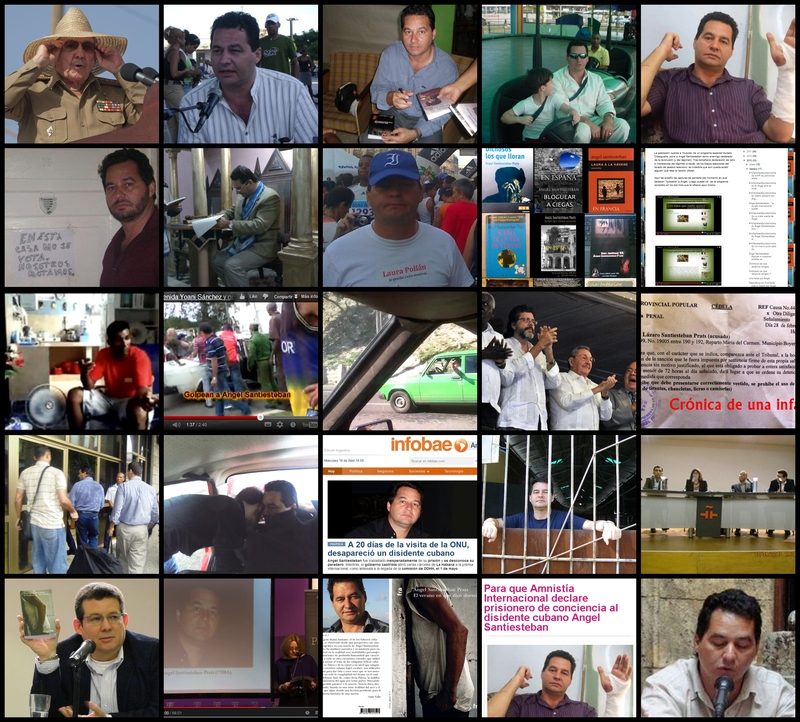 Having consulted with legal experts, we have learned that it is possible that the regime is preparing a new legal trap for Ángel. Conditional release is given to persons who have already served part of their sentence, but who do not have anything pending in relation to their trial. 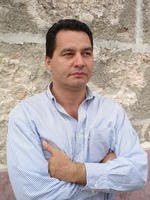 In Ángel’s case, having requested an appeal, they could remove his right to a conditional release, claiming that it is necessary to wait until the opinion is rendered regarding the appeal. Bearing in mind what Ángel himself told 14Ymedio (that the prison guards, responding to his demands, had told him to hold his horses because he had already done a lot of damage to the Revolution and that if he had accepted the offer of exile made at that time he would not find himself in prison now)–and also the political prisoner releases of this week (that sought to improve the government’s terrible image due to its repression and detentions of dissidents on December 10, International Human Rights Day)–this report, plus the analysis by the legal expert, takes on a maximum significance. Ángel’s helplessness is absolute, now that his son also is in danger for having defied the government by telling the truth–and also because Ángel is unable to post his updates on what is happening with his. Thank God, 14Ymedio was able to obtain his own words on what he is going through. We express our gratitude to Lilanne Ruíz for following Ángel’s circumstances so closely. The post below is what Ángel sent me in his last letter. When he wrote it, he had no idea that Sonia Garro would be released. He still doesn’t know it. If he did, he would be overjoyed that she is able is to celebrate the holidays with her daughter, and he would have said so. The children of Ángel will have another Christmas without their father. Ángel will have another Christmas alone and isolated. The Castro clan will have another Christmas illegitimately usurping power and enjoying the privileges it robbed from the people. The dictator brothers will have another Christmas violating with impunity the rights of all Cubans. If it were up to them, they would shoot me. In this border patrol military base where they now have me shut away and isolated, I am behind bars that reach to the roof of the patio, and I am guarded 24hrs/day, but not even that or anything else will be enough to make me back down from my goal to live in a free country, something that I do not know, even at my 48 years of age. Regardless, it appears that they are learning that there is no way to make me change my opinion. I believe in God, and the time in prison has not been for naught, it has a purpose and God willing I am close to knowing what that is, not just for me but for my country and my family. This is a struggle that has no room for half-measures but, unfortunately, many Cubans prefer to forget about those of us who are imprisoned, so as to not incur problems for themselves with the government. Contrary to what many believe, the fighting spirit grows in jail because there will never be a better place to know the injustices a dictatorship commits within them such as the threats, the abuses and tramplings such as they wreaked upon me in La Lima prison and later in Prison #1580, where they would tie my feet and hands to make me ingest something foul which, I suppose, or they supposed, was nourishment. At that point my strength increased and kept me going. With the smell of battle, blood flows with more force like a wild and untamable horse that rides through the veins. Then they are the ones who fear, they turn away from our gaze, they avoid confronting us because the truth spoken in our face is more effective than their blows. They are the cowards because they believe that this is the most effective method to dampen our demands–without further justification, according to their logic, because they imagine that were they in our position, they would give up. And this is their great deceit, the question they cannot answer, when they see our strength grow. When one has right on their side, a great part of the battle is already won. Now, with more justification and strength for the battle because I have known more closely the injustice of the tyranny and the constant love and support that provide the confidence needed to remain in combat, I know why they don’t want Sonia Garro or me to be free, because we were too ’impudent’–perhaps that is the right word, to not use a vulgar term. We faced down the political police–I on that 8th of November of 2014, when they beat me and it was seen on that video that fortunately went viral around the world and later the open letter that I addressed to Raúl Castro demanding the release of Antonio Rodiles. Sonia and I are intolerable for the government–especially so with she being of the Ladies in White and I an intellectual, we do not fit the mold that is extremely acceptable to them. They know that we do not fear them. I don’t know how the government officials are not ashamed (but this would be asking the impossible) to still repeat the list of grave accusations that they laid on me, and then later they kept the two least serious ones, while the ’flaming witness’ for the prosecution and the accuser assured them that all were false. I continue to wait in vain for the appeal that my attorney requested. If it were up to them, they would shoot me, but because they can’t, because times are different, then they have no other recourse but to keep me imprisoned. On the other hand, they are gaining time, they are buying it so that Raúl Castro can serve out his term and somebody new can come in–some other Castro, surely, because the Castros will not relinquish power. I believe that they will not want to risk their position even with a puppet government that they control from behind the scenes. While they ’take their time,’ here remain shut away those of us like Sonia and me, who have no fear, and who they have not succeeded in bringing to our knees. Writing you is always an adventure. The constant surveillance is relentless, but perhaps this deepens the desire for communication with the outside and to do so means an unmistakable flavor. 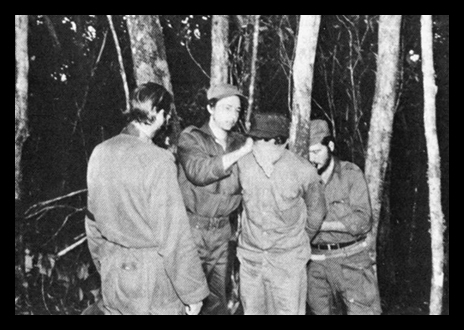 After the tensions decrease, and knowing it all came out well, I received the prize for mocking the dictatorship. As a writer, I would be capable of describing my own firing squad, and I would enjoy it, but — in addition to enjoying it — it’s a beautiful obligation that arises from the depths of the being. 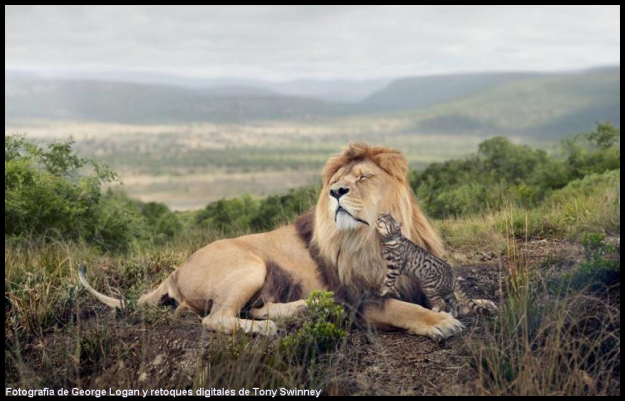 I have allies — for now I can only name the closest — some wild cats who don’t allow anyone but me to approach them, to them I have dedicated great love. Slowly they came to accept me as I gained their confidence. They stay close to me, and surround me while I write, I hear their purring, admire the plan to the youngest and the tenderness of their mothers who wash them and love them. When someone barely approaches, the warn me, transmitting the possibility of danger, so I hide what I’m writing. Before, there were twelve, then it fell to nine. The guards are annoyed by the fidelity they show and the discourteous way they almost scare the guards, poking their uniforms. Maybe they’re waiting to go to the coast to look for the remains abandoned by the fishermen on the shore and executed there, because now I have only two — shut in the hole from where they emerge — staying inside the walls that rob me of my freedom. For now these cats are small, they can’t release them. Irony of life, but they must be thankful for their lives in prison. I wanted to share with you this daily passage of my you so you can imagine how happy I am when I feed and caress them. I protect and defend them like my children, friends, compatriots and dreams of freedom, which — after almost two years of imprisonment — have grown in necessary intensity, in the oxygenation of existence. In my own way, I’m happy because I’m in a place of the punished for thinking differently, for the height and slant of my handwriting* being incompatible with the totalitarian regime, to my honor. Thanks to every one who has shouted for the freedom of Cuba, including me or not, because achieving the end of the Castro family dynasty I’m sorry is above me, and all those who dedicate their efforts have my respect and admiration and are my comrades in arms. May you all have a prosperous 2015, and may our mutual aspirations for a democracy illuminate our archipelago. *Translator’s note: A “handwriting expert” testified at Angel’s trial that the excessive height and slant of the letters in his handwriting, are proof that he was guilty. 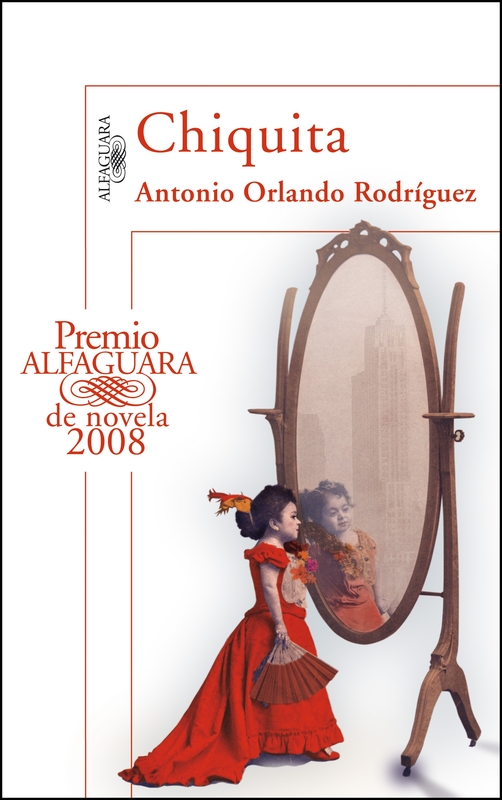 But that’s not what I want to talk about in this post, but rather about a novel I discovered on that trip, the winner of the Alfaguara Prize, by Cuban author, Antonio Orlando Rodríguez: Little One (Chiquita); although the magnitude of the novel should indicate that it’s not (so little) since the author tells the story of the immense life of Espiridiona Cenda del Castillo, a Lilliputian who was born in the city of Matanzas one 14th of December, 1869. This miniature-sized human being achieved fame once she decided to travel—with her brother and a pianist cousin—in order to triumph in the artistic world and capitalize on her voice lessons and 26-inch size. Her ups and downs began after June 30, 1896, when she left Cuba for New York with a vaudeville show. In New York she performed on the best vaudeville stages and became one of the genre’s most successful artists. She traveled the world. Oddly, she had a charisma that made people want to enlist her in the important causes of the time. The most righteous of these was the cause for Cuban independence, and she was visited by no less than a group of Cubans led by Tomás Estrada Palma, who had the dual charge of delegate of the Cuban Revolutionary Party and ambassador-at-large of the Republic of Cuba in Arms against the United States, and who would eventually become the first President of Cuba. She was also welcomed by, among many other celebrities, millionaires and people of influence, U.S. President William McKinley, who was later assassinated while in office. In a rewarding, literary subplot—from the moment she meets Alejo Romanov, third son of Alexander the Second of Russia, on his visit to the city of Matanzas, during which he gives her a gold chain with a tiny watch face as a good luck charm—an intriguing story begins in which the author himself acknowledges at the end of the novel he has “unscrupulously interwoven historical truth and fantasy,” license that adds intriguing turns of events and raises readers’ interest as well as the literary level of the author, who hails from Ciego de Ávila, Cuba. The author’s humor and trickery, which interfere in the novel with mastery and achievement, provide a fresh, very Cuban flavor to the reader. My first reading of this novel was ruined, as I told you in the beginning, at that Book Fair in the D.R., while reading in sessions at the same booth where it was for sale and, consequently, once I finished, I promised myself to come back to it and give it a more thorough and uninterrupted reading. Thanks to life’s lovely coincidences, oppositional and independent journalist Lilianne Ruiz handed me a copy of the book, which life long journalist, Reinaldo Escobar, had sent her from his personal library and for which I will be forever grateful to them both; because I enjoyed this reading more than the first—so much so, that I re-read it in three days. My pretense for sharing these brief comments is to invite Cubans who have not already done so to find this book and have the pleasure of reading it, enrich their personal library and, best of all, add culture and historical knowledge to their mental archives. For my part—even though I’m a colleague of the author, who claims that being a writer is synonymous with being a “professional liar”—I only have tried to tell you the truth. December, 2014. Jaimanitas Border Control Unit Prison, Havana.